Let’s face it, your are truly looking at hundreds of people competing for the same job, all in one market. How do you get over the hump? How do you compete at a high level for that one job? Understanding the hidden job market still doesn’t yield a fair shake at gaining employment with a national unemployment rate over 9%. One employer recently told me that for every 1 opening, they are experiencing an overwhelming amount of resumes. Wow? How do you avoid the infamous black hole of resume submittals and get to that 78% of opportunities in your market? You need to have a strong Personal Employability Brand! You are worth the opportunity. You’re hired! You are a professional who values his/her occupation. You will make the boss look good. I am comfortable with sending you to other influencing professionals. You represent the company very well. I’m proud to be associated with you. 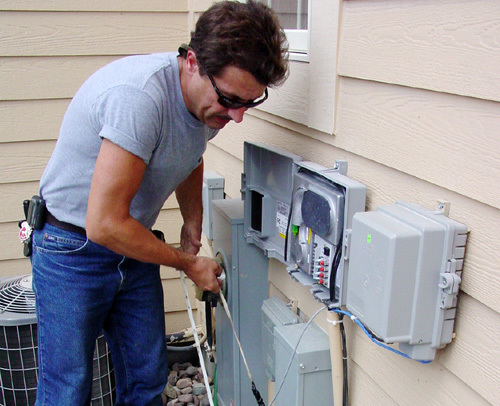 The telecommunications industry is no longer the blue collar market for professional workers. Technology has evolved in this field of work, which means it has gotten more complex and requires advanced expertise, even at the installation level. We are far beyond the days of having three people to perform an infrastructure installation. Just 10 years ago, you would have one technician to pull cable inside, one to connect from outside and then one to network to the desktop. We are now in a Lean Sigma era and it has a profound affect on every industry, including telecommunications technicians seeking employment. Today companies are reducing manpower and expecting technicians to be well rounded technically, academically and professionally. That is why Telecommunications Professional must have a solid “employability brand”. This is like having a great report card, but it outlines who you are and how everyone else perceives you. You “MUST” spend time developing your employability brand as a technician, professional or engineer. Your career sustainability depends upon a strong brand but it doesn’t take a rocket scientist to build it. I have outlined some quick tips that can help you begin to build your employability brand. Work on these 10 areas and you will see your employability brand increase in a short amount of time. Learn how to introduce yourself properly and professionally. Add value to your introduction by sharing your area of expertise. Stay away from one line title introductions. Volunteer for the roles that propose a strategic risk. Professionals who are not afraid of taking some calculated risk have a higher rate of success in a career lifecycle. Become a Subject Matter Expert (SME). Be “great” at something. Be noticed as the “Go to Tech”. Network through social media. Get on LinkedIn, Twitter, MySpace, Facebook and other networking forums. Get noticed online. Join user groups and professional associations in your field. Look presentable at all times. Stay in shape and always carry a clean set of clothes (shirt, shoes and pants). Just because you work outside doesn’t mean you have to look like it all the time. Be prepared. Learn to network with people who can influence your career. Read everyday. Look for industry articles and get acclimated with your industry. Get a professional photo done. Professionals who are focused on their employability brand will spend a little money on getting a photo done by a professional photographer. You can go to a photo franchise and get a $20.00 specials for one sitting. Get it done. You’ll be thankful that you had it done. Theѕe are tгuly grеat iddas iո οn thе topiic of blogging. Ha ha… I was just online around and took a glance at these comments. I can’t believe that there’s still this much fascination. Thanks for posting about this.